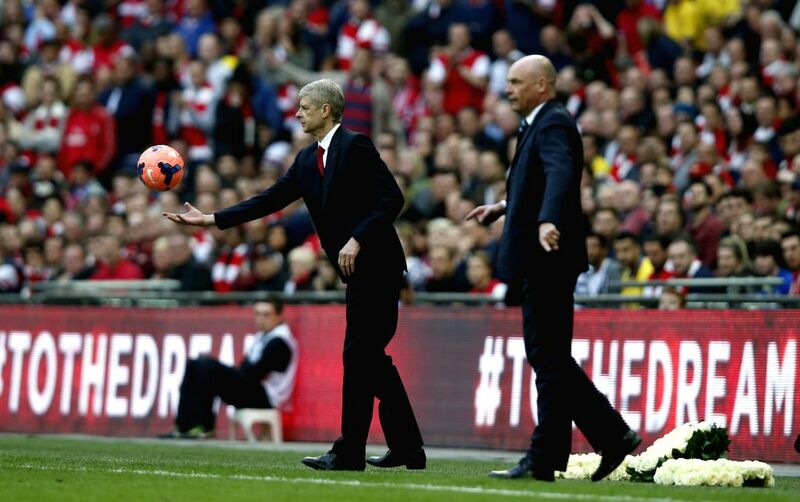 LONDON, April 13, 2014 - Arsene Wenger (L), manager of Arsenal and Uwe Rosler, manager of Wigan Athletic, look on during FA Cup semifinal match between Arsenal and Wigan Athletic at Wembley Stadium in London, Britain, on April 12, 2014. 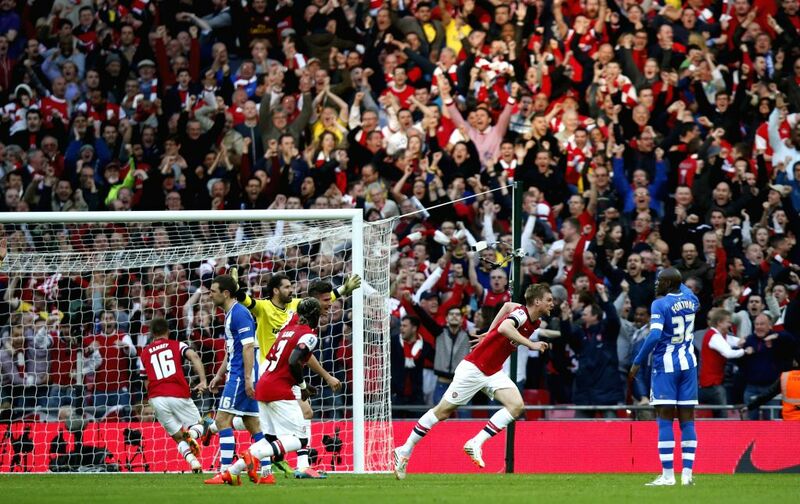 Arsenal advanced to the final with winning 4-2 on penalties after a 1-1 draw. Photo: (Xinhua/Wang Lili/IANS) FOR EDITORIAL USE ONLY. NOT FOR SALE FOR MARKETING OR ADVERTISING CAMPAIGNS. NO USE WITH UNAUTHORIZED AUDIO, VIDEO, DATA, FIXTURE LISTS, CLUBLEAGUE LOGOS OR LIVE SERVICES. ONLINE IN-MATCH USE LIMITED TO 45 IMAGES, NO VIDEO EMULATION. 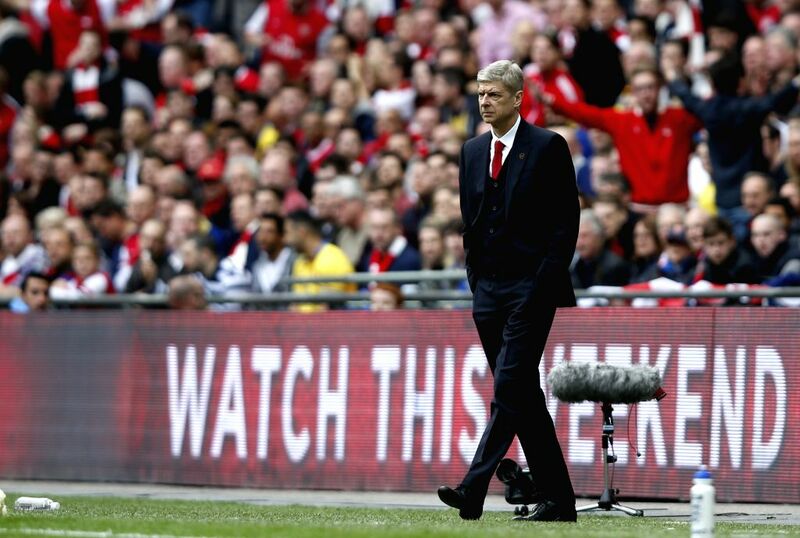 NO USE IN BETTING, GAMES OR SINGLE CLUBLEAGUEPLAYER PUBLICATIONS. 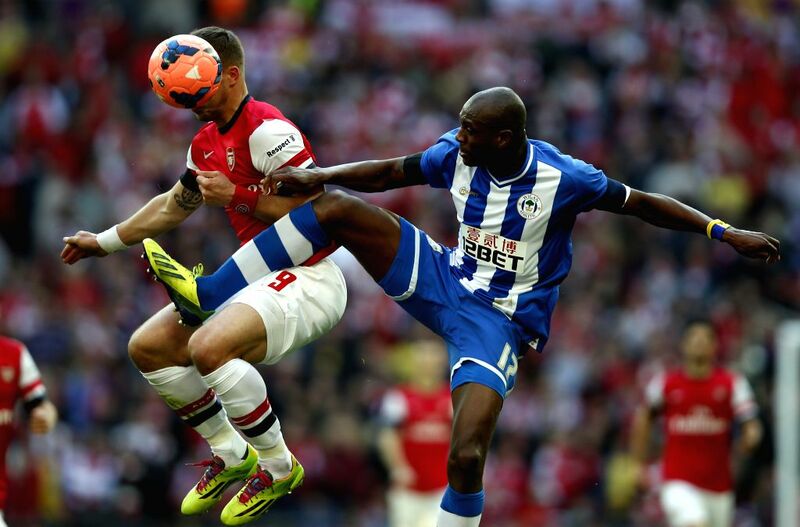 Aaron Ramsey (1st, R) of Arsenal vies with Jordi Gomez (2nd, R) of Wigan Athletic during FA Cup semifinal match between Arsenal and Wigan Athletic at Wembley Stadium in London, Britain, on April 12, 2014. 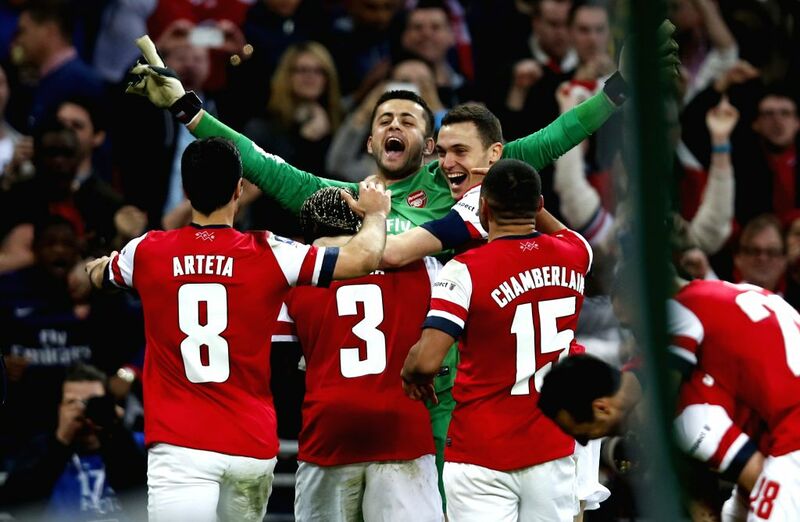 Arsenal advanced to the final with winning 4-2 on penalties after a 1-1 draw. Photo: (Xinhua/Wang Lili/IANS) .